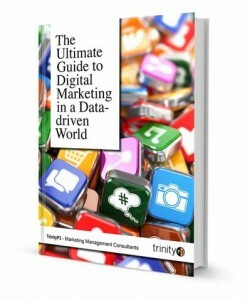 Welcome to the 9th Chapter of “The Ultimate Guide to Digital Marketing in a Data-driven World”. If you missed Chapter 8 you can read it here. You’re almost there. Plan in place. Resources in place. Digital activity developed. And measurement framework in place. Now in walks the CEO and asks, ‘Why haven’t we built a Pinterest presence yet? And let’s start a new company blog’. Hmmm. Where did that come from? You didn’t even know that your CEO was aware of Pinterest. Yes, that’s right. All your painstaking digital planning can easily be unravelled from the top if everyone isn’t aligned. It is essential to take all parts of your business with you on your digital journey. That includes making sure that the C-suite has bought into it too. They obviously don’t need to know all the meticulous detail, but they do need to know your overall plan and how it will deliver more business. Now that your digital plan is in place, you need to align your internal resources. This will need to occur from the top down as well as from the bottom up. A word of warning here. Hopefully you have been including key stakeholders and decision-makers within your business throughout the planning stages. So in effect, what happens next won’t be a surprise. But it will still be critical to ‘train’ the relevant divisions and stakeholders in regards to your activity. Sales and marketing each used to be completely siloed. However, in many organisations, the sales and marketing functions are now uniting as one force. Either way, make sure your key sales managers – be they central, national, state or regional – have bought into your plan. You will need to align your KPIs to their sales goals and targets to show how both work together. Front-line sales teams are also a great source of ongoing customer insights, particularly regarding buying behaviour and multi-channel customer journeys. Make sure your IT team is fully across the activity you are planning. Typically, they are briefed only for specific digital marketing projects and platform requirements, but IT ideally should have a complete picture of what you are looking to achieve. They will then be able to provide invaluable research and solutions for your digital technology requirements. Usually the data team sits within the IT division. Make sure your key data analysts and managers are up-to-speed with your data-capture plans, segmentation methodology and ongoing measurement criteria, as you will be relying on them to crunch the mass of data that you collect. Remember that success will rely on uncovering the hidden opportunities that the wealth of big data within your business provides. Often, this will hinge on one number delivering one insight, not on a 100-page PowerPoint deck. You will have involved your research teams in the customer-insight planning stage. Also make sure your ongoing customer-insight activity is fully aligned to the research manager’s plan. Digital media, in particular social networks, can be your best source of research, customer insight and product/service learning. Be careful not to duplicate research activity. If you rely on a contact centre, be it in-house or outsourced, you will need to brief the senior contact-centre teams on your overall plan, in addition to giving individual project briefings. Your contact centre is also a key channel for customer insights that you should be utilising for planning and for optimising your ongoing activity. You also will be working with product and/or purchasing teams. As we mentioned in Chapter 7, your content calendar will start with key product releases and product-based events and activity. Ensure that HR are across the marketing ethos and that they have input into the overall plan. Your marketing plan should map to, and align with, the internal HR plan and culture model. This is vital from an internal staff and brand culture point of view, as it will ultimately impact on your desired customer experience. Have you got a universal brand archetype for your business that aligns with the business’ personality? How are staff (existing and new recruits) delivering on the values and proof-points? Are there marketing opportunities to leverage ongoing staff training programs? 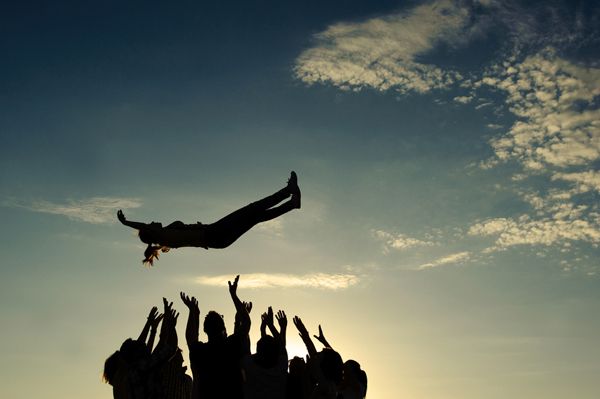 How are staff delivering on your content marketing objectives? Hopefully you’ve raised these questions with your HR manager and team throughout your planning process – and answered them. Make sure your in-house legal counsel has had input into, and agreed to, the legal stance on your digital marketing activity. In particular, legal must agree to your social media crisis-management policy as well as any financial obligations within your digital marketing activity; for example, loyalty rewards, service standards and pricing structures. Most importantly, get buy-in from finance on your measurement criteria and ROI model. Finance has the CEO’s ear, so you will need to be aligned with them. It’s also essential to ensure that your digital marketing activity has a C-suite buy-in. This may sound daunting, but it’s unavoidable if you are to help evolve your business in a digital world. After all, digital marketing will affect all areas of your business, not just the touch-points. And remember that this may be confronting for the C-suite too, as digital marketing is not generally one of their areas of expertise. They will be relying on you for information, reality checks and business assessments, as well as the identification of opportunities. We recommend that you first immerse the C-suite in digital marketing by conducting a half-day digital session just with them. You should highlight key digital areas and then identify which ones impact your business and should be considered for your marketing plan. This will allow you to assess the knowledge levels (including gaps in knowledge) and areas of interest of specific stakeholders. It will also allow you to pinpoint the areas that require a business planning focus. We then recommend that you follow up the initial session with one-on-one deep-dive meetings to explore the views, preconceptions and concerns of individual C-suite stakeholders. Depending on the level of information required, it might be wise to follow each deep-dive with another session for which you bring in a SME (subject matter expert) to reinforce your ideas and solutions. The idea is not to undermine your authority but rather to reinforce your company allegiance and supplier independence. Alternatively, you could run a group session with the C-suite and introduce a variety of SMEs to enlighten the executives. Finally, it is vital that you involve the C-suite throughout your planning process, as outlined in Chapter 3 and Chapter 4. Remember that clarity of goals and buy-in at each stage of the endeavour will prevent surprises and battles down the track. The key here is to understand that the C-suite is skeptical of marketing – this was confirmed by a study conducted by the Fournaise Group, the 2012 Global Marketing Effectiveness Program, in which 80% of the CEOs surveyed indicated that they didn’t trust marketing. 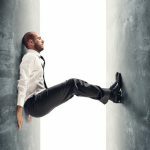 The notion of competitive advantage also has been weakened in terms of speed-to-market, so business goals and activity have likewise been adjusted to concentrate on a shorter-term focus and decision-making. You should keep in mind that digital marketing, while offering quick-win tactical opportunities, is like no other part of business practice. It requires a great deal of thinking, planning, assessment and proper valuation. To summarise, the main theme here is to educate and align the key stakeholders within your business and brand world. This means that you will need to view your digital marketing buy-in process through an internal corporate lens as well as through an external customer lens. By doing so, you will cover all aspects of your business, as well as all the silos. This will ensure that you have a crystal-clear direction to head in, and also a groundswell of support and business KPIs with which to dive into digital marketing. In the next and final chapter of “The Ultimate Guide to Digital Marketing in a Data-driven World”, we recap the essence of each chapter of this guide.